The Witchery was established by James Thomson OBE, in a historic building at the gates of Edinburgh Castle. 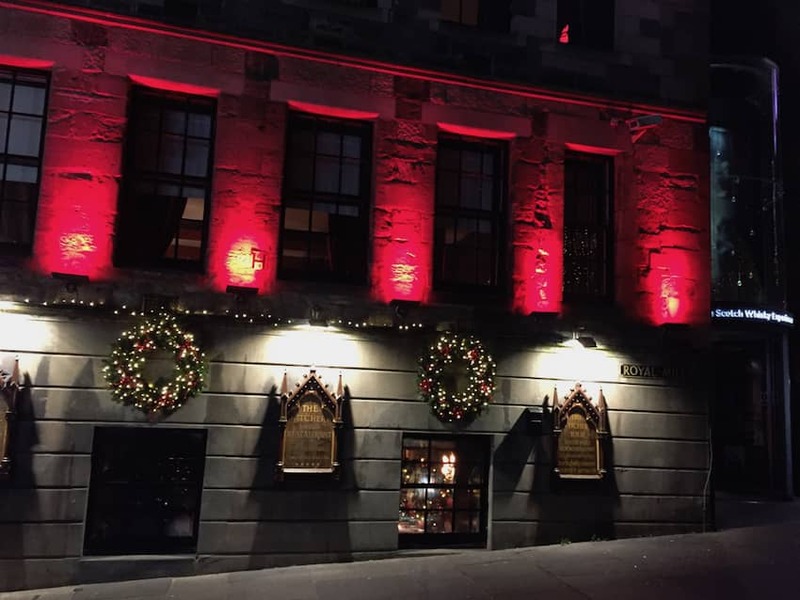 The Witchery takes its name from the hundreds of women burned at the stake as witches on Castlehill during the sixteenth and seventeenth centuries. Its interior is truly Gothic in styling with heraldic painted and gilded ceilings, panelled with seventeenth century oak rescued from a fire at St Giles Cathedral and other panelling from a Burgundian Chateau. Tapestries hang from the walls, gilded leather screens, opulent red leather upholstery, and antique church candlesticks completing the scene. The style is fine dining showcasing the very best of Scotland's produce. There are also nine uniquely luxurious and fabulously theatrical suites for those wishing to stay a little longer.